Need to incorporate GS1 barcodes on your packaging? Here are answers to frequently asked questions about point-of-sale barcodes. If you misprint barcodes or don’t follow barcode standards accurately, retailers can reject your product/s, which will force costly reprinting, repackaging and resupply. So make sure you know and comply with standards. Do I need a barcode on my packaging? 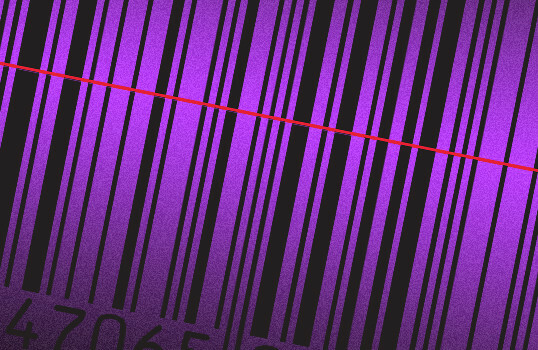 If your product/s are being sold by major retailers in Australia, then there’s no doubt you need barcodes on your products for inventory and (point-of-sale) price scanning. What barcode type do I need? The most common barcode for retail sales in Australia is called EAN-13, and it’s registered through GS1 registrars. We recommend you check with your retailer before ordering or printing barcodes. What do barcode numbers mean? The registrar and company number are the first 9 digits. The next 3 digits are the item reference.Typically a company licenses 1000 barcode numbers (or 100,000). Please note: If you have different product sizes, colours, flavours, weights or styles, then you’ll need to use a different barcode for each one. The last digit is a check digit (see below for more information). What is a barcode check digit? Want to know if your barcode number or artwork are correct? 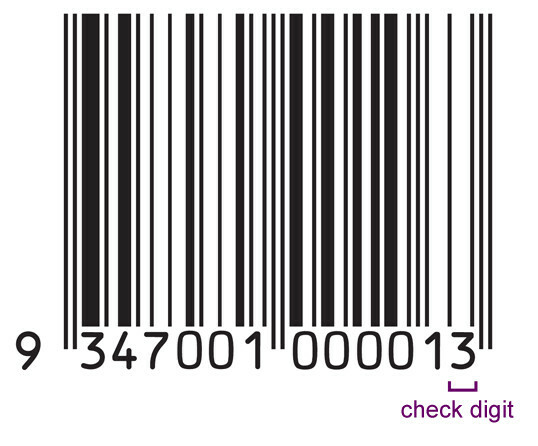 The last digit of EAN-13 barcodes is a check digit. It uses an algorithm to validate the accuracy of your barcode number or barcode artwork. Here’s a check digit calculator. If you search online, you’ll find companies which sell cheap one-off EAN-13 barcode numbers. The benefit (aside from being cheap) is that they sometimes claim not to charge annual fees. If this company isn’t reputable, then they may have sold this barcode to someone else. The barcode doesn’t include a unique company prefix (see below). Major retailers in Australia may require that you have a unique company prefix (which is only available through GS1 Australia). They require this because it helps them to identify your products, and manage warehousing/distribution logistics. This typically involves licensing 1000 barcode numbers. You’ll need to pay annual fees to continue using these barcode numbers. How do I allocate my item reference numbers? Once you’ve been provided your barcode number range, you can allocate your item reference numbers in any manner you like. Allocate your item reference numbers sequentially, starting at 000. Allocate your item reference numbers using product sizes. How do I get the barcode image for my artwork? It’s strange… but GS1 licenses barcode numbers to your company, but they don’t provide the actual artwork for each barcode. Reputable printers and designers can source the barcode artwork on your behalf. Barcode artwork can often be sourced in bitmap formats (like JPG, BMP and TIF), but any reputable designer will tell you that an EPS format barcode will yield the best print results because it can be scaled to any size and print at the printer’s optimum resolution. If you’re selling through major retailers, then it’s vital your barcode scans correctly. Imagine the inconvenience to retailers if your product doesn’t scan properly, and then imagine the cost of pack redesign, reprinting, repacking and replacing stock. It depends on the retailer’s barcode scanning system, but the recommendation from GS1 is that barcodes are used between 80% and 200%. There are clear space requirements for the left and right of your barcode (to optimise scanning). If you obtain your barcode from a reputable source, then this “quiet zone” will be embedded in the artwork. Some retailers require that you include the barcode in multiple places on your packaging (we recommend that you check with your retailers). The official recommendation is that you place your barcode on the lower right quadrant on the rear of your packaging. Of course you also need to keep in mind your packaging type and processes – especially packaging seams and print registration. The colour of your barcode and the background can cause retailer scanners to mis-scan. Dark barcode (not red or orange) on a light background. Red or warm colour barcode. See below for barcode print recommendations. If using CMYK lithographic printing, then we strongly recommend you consider printing the barcode using the black (and don’t use a tint or combinaton of colours). If using spot colour lithographic printing (inks which are mixed by the printer), then you should consider printing the barcode using the a dark colour (but not red or orange). If you’re screenprinting or pad printing direct onto a product or pack, then choose a dark colour (but not red or orange) and don’t use screens or tints of the colour. If you’re laser or thermal printing onto products, labels or packaging, then use a dark colour (but not red or orange), and print at 100% colour density (do not use tints or screens for the barcode colour). for food barcodes which incorporate “use by”, batch numbers and/or usage instructions. Barcodes which are printed directly onto products (typically via screen printing or pad printing) are done during the manufacturing stage (and prior to distribution and packaging). This is often done for high volume products, and can be highly cost-effective. If your packaging has to be printed to incorporate branding, instructions and country of origin, then this is a cost-effective way to incorporate your barcode (because barcode labels and barcodes directly on products are an additional cost).